For most people, â€œflyingâ€ is something they do to go on holiday â€“ far removed from the experience that they share with hundreds of other passengers on a commercial airliner. For Air Cadets, flying is something much more personal â€“ just you, and a pilot, teaching you and guiding you through aerobatics and the way to take control of an aircraft. There are lots of different ways to get airborne in the cadets. 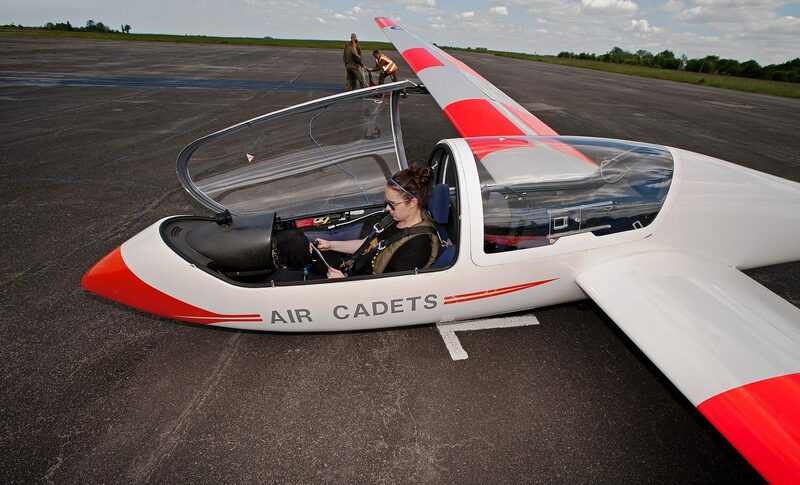 For most cadets, this is their first experience of the joy of flight. 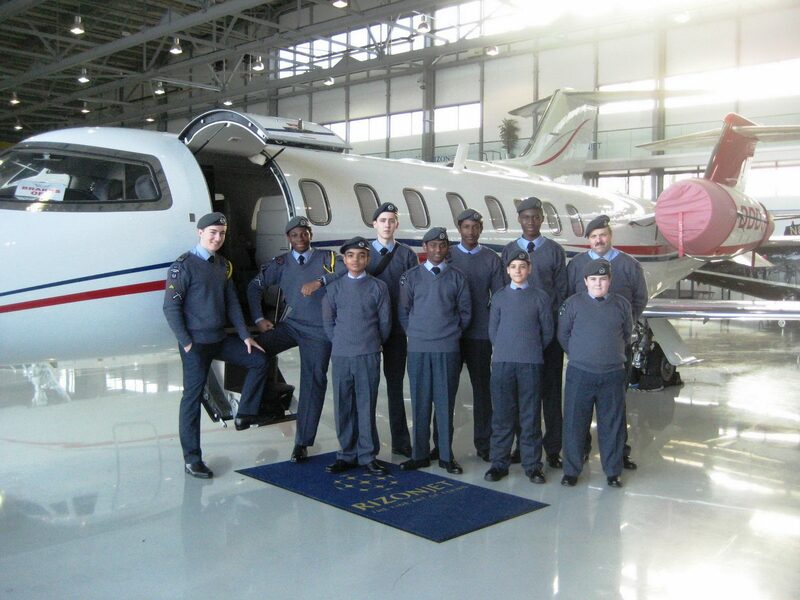 Taking a day at an air base â€“ either RAF Benson for the powered flying in the Grob Tutor, or RAF Kenley for the gliding in the Viking â€“ cadets spend the day working with pilots, learning how to manage and operate the aircraft, as well as taking a thrilling sortie or two themselves. Whether they want to study the controls, master the airmanship and principles of flight, throw the aircraft in to aerobatics, or simply sightsee over London and Oxfordshire â€“ the aim is to get them in control, and hands on as soon as possible. 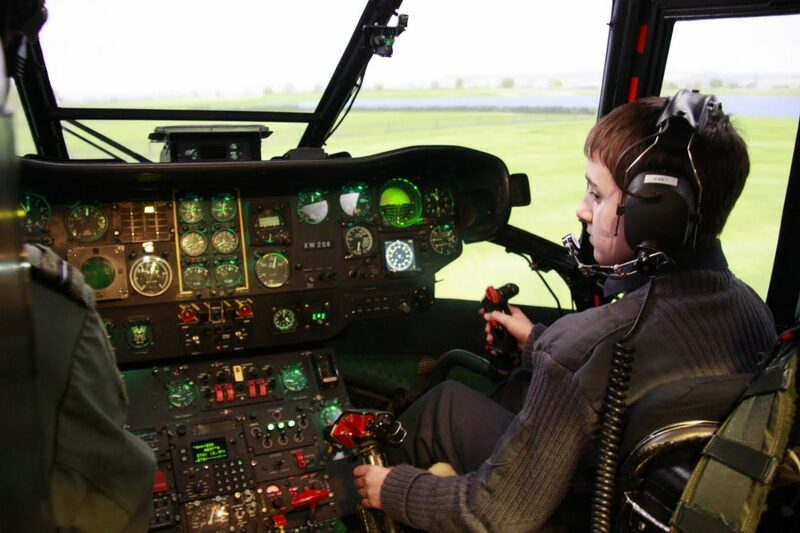 Interaction with the Royal Air Force on visits and trips sometimes means we are offered flights on regular Service training exercises, or in multi-million pound flight simulators. 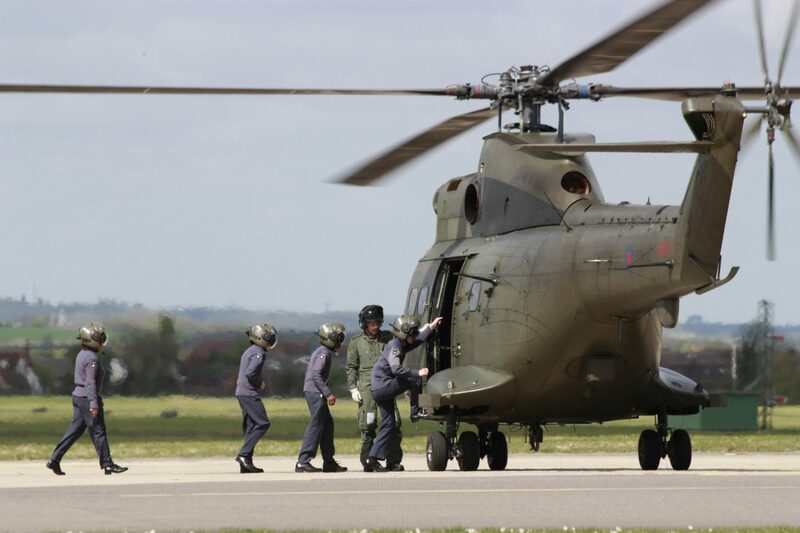 In recent years, we have sent cadets on Sentry flights across the UK, and helicopter flights in Puma, Merlin and Squirrel aircraft. Cadets have taken the controls of Sentry and Griffin simulators, and flown virtual sorties from aircraft carriers and at night! 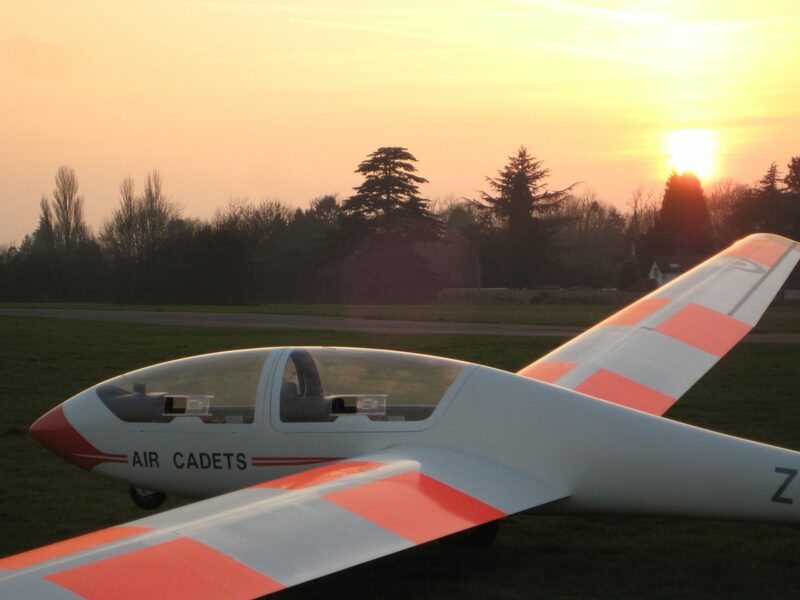 At the age of 16 you are eligible as an Air Cadet to apply for a Gliding Scholarship. 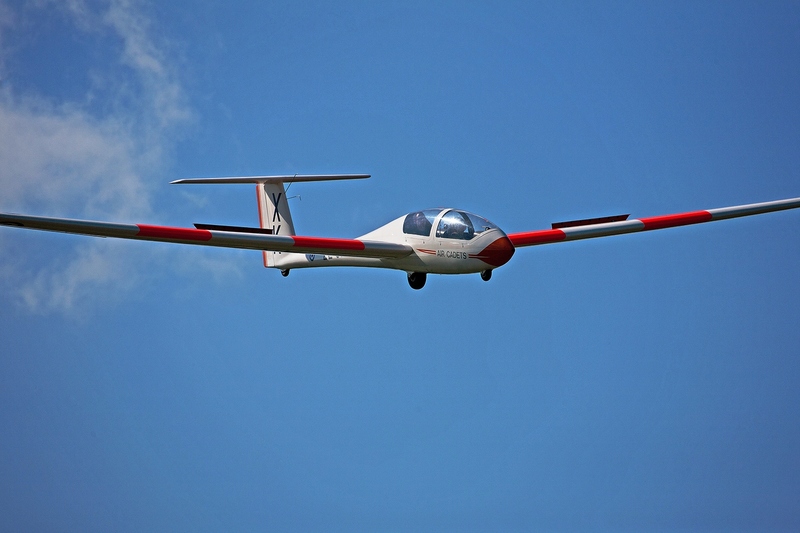 Â This fantastic course will provide you with up to 8 hours training on the Vigilant or Viking glider. Â If you meet the required standard you may also be given the opportunity to undertake further training and undertake a solo flight, dependant on your progress through the course, ability and the weather! On completion of the Gliding Scholarship you will be awarded â€˜blue wingsâ€™ or â€˜silver wingsâ€™ if you go solo to be worn on your uniform. 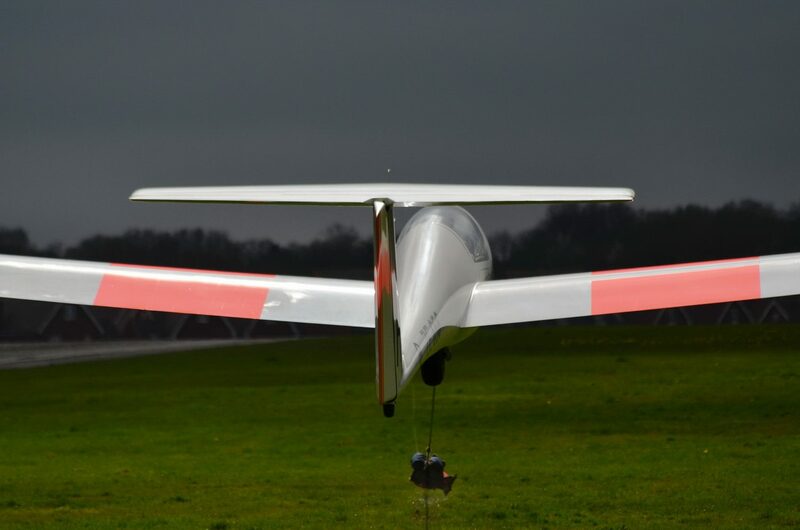 Â If you wish to take gliding further you can then apply for Advanced Glider Training (AGT) or become a Flight Staff Cadet at the gliding school. 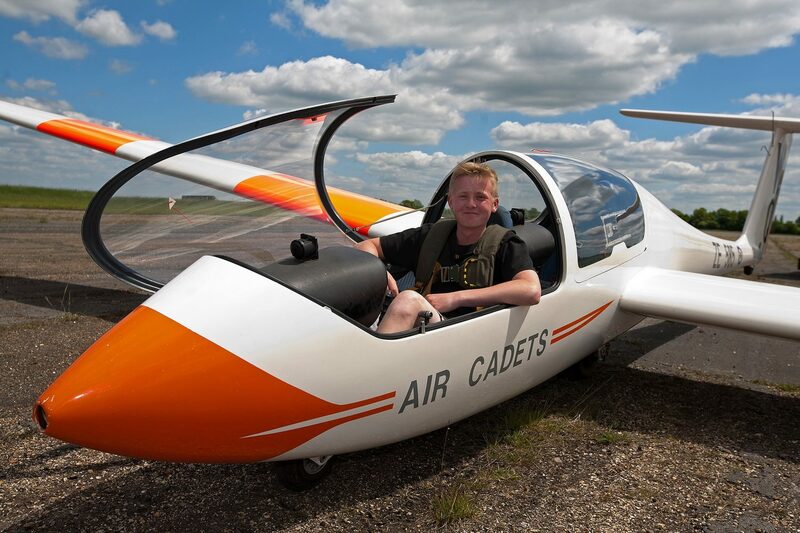 The best of the Air Cadet opportunities in terms of flying sees you travel up to an approved flying school to complete ground school and over ten hours of flying training in a Light Aircraft – usually a Grob Tutor. Selection for these scholarships is fierce, and the competition is immense – but well worth the effort of applying!